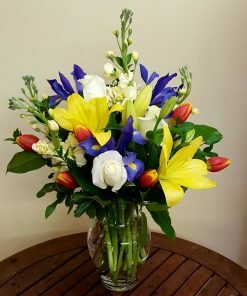 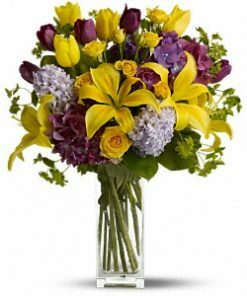 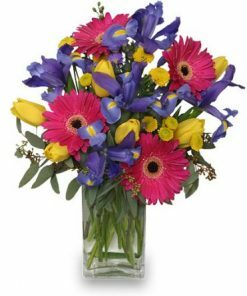 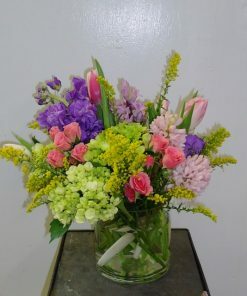 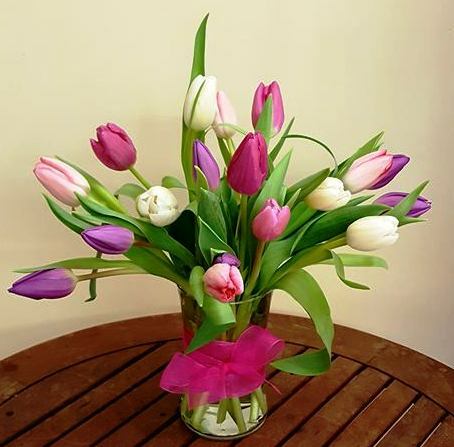 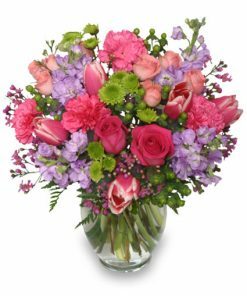 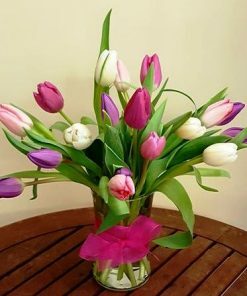 Beautiful and “simply said” mixed pastel tulips are a hip way to show you care. 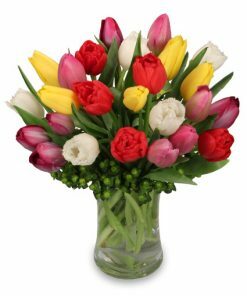 Eighteen mixed pastel Tulips arranged in a clear glass vase. 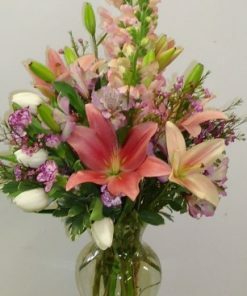 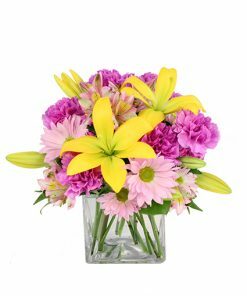 Adorned with hot pink bow on vase.